Vertu Mobiles has made some headlines with the costly phones they have launched. The phone has a titanium body. This is the main reason for a sky rocketing price. Some news channel websites have also written about this phone. 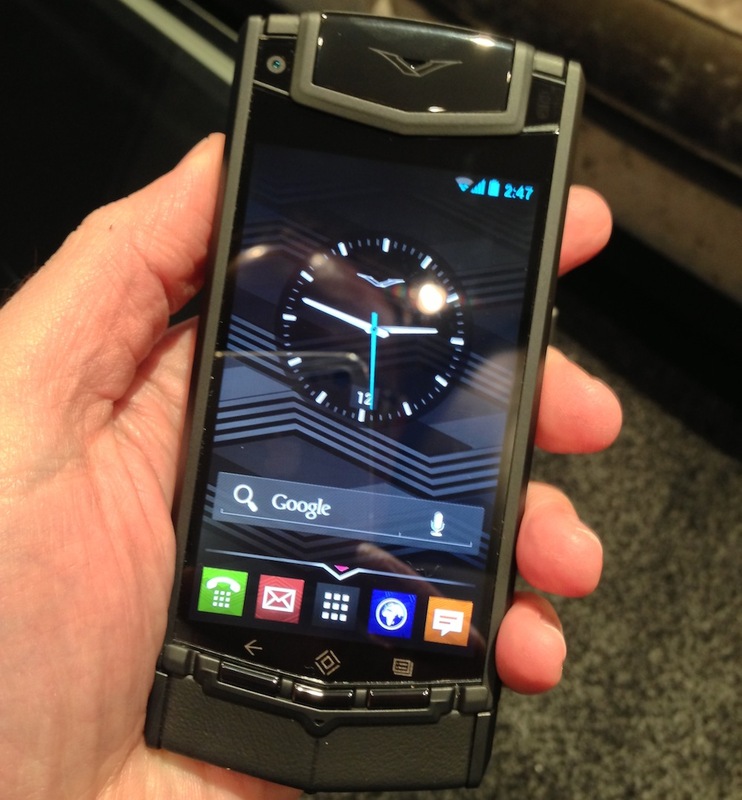 The phone has been names as Vertu TI. This is a luxury phone and is meant for flaunting its looks. Vertu TI Price is Rs 6,49,990. The price is six times more than any phone available in the market. The phone is very expensive but it doesn't mean it has got some special features. But the latest technology is present. Vertu TI Features are support for 2G and 3G network. The phone is available for purchase since February 2013. The phone dimensions are not available but it has got Titanium body (grade 5). The screen is composed of a single Sapphire crystal glass. The size of this screen is 3.7 inches. The screen is protected by Scratch-resistant. The user doesn't have to worry about any marks on the screen of their expensive phone. Other expensive hardware includes a Bang&Olufsen loudspeaker. You may use the earphones to listen to your favourite music. The 3.5 mm audio jack will give output to any desired earphones. There is another feature which is as high as the price. The phone has 64 GB internal storage capacity. If you are still unsatisfied then you may attach a microSD card. You can use a memory card up to 32 GB. This memory will be primarily used for storage purpose. The processing RAM is of 1 GB. Internet experience has also been added to this mobile. GPRS, EDGE and wi-fi have been added for that purpose. You can also transfer files to other mobile phones. The phone has a Bluetooth device and USB port for that. The files might be photos or videos. The main camera of 8 MP will click excellent pictures. There is also a secondary camera of 1.3 MP. The mobile has Android OS, v4.0 (Ice Cream Sandwich). The OS is out of date but not very old. The OS has support for various types of messaging services. SMS(threaded view), MMS, Email, Push Mail, IM and RSS are the fast messaging services. MSS service is integration of audio and video. Similarly GPS is integration of satellite photos and Google maps. Vertu TI Pictures show a silver lining and black titanium body. On the front side there are three buttons. These buttons will help you in scrolling. Recently we shared a story about Sony mobiles, Android Jelly bean update improves Sony Xperia Go.